You know, we participated at this year's Crossmedia contest. Today, all competitors were invited to join the show. Well, not everybody came, but all prize winners and some non-prize-winners, some people from the ministry, some sponsors from LBS and a moderator.First the moderator presented all the winner projects, three from each of the seven genres (Video, Sound/Music, Text/Spoken Stuff, 3D, Graphics/Layout, Internet, Multimedia). Third places got 450€ each, second places 600€ and first places 800€ (Roccy Labs was registered for Multimedia). Sometime it was our turn to get up to the screen and answer some questions. We did so and talked a bit about the project, who did what and how and whatever, we also brought our own laptop to present some live gameplay (on a, let's say five square meters screen). But we didn't have that much time so we could only show the first level and the beginning of the second and the menu, but it was enough to make the crowd, about 100 people, cheer for us. In fact we were one of to contributed games, the only with 3D graphics and the only with some effort brought in. After the presentation, there was a short break, well, nothing important. But now the awards show began and we were really nervous what place we'd get. But first some other genres were called and people clapped and photos were taken. Now, genre "Multimedia", our legs shaked. 3rd place, an interactive map of America, not very impressive, but who cares. 2nd place, a flash game called "Blockspiel", also not impressive since it was only a game like these little puzzle pictures where you have to move little squares to get the picture together (such a picture is also in the Apple dashboard I think). So, YES!! !, 1st place, Roccy Labs, our game, win win win, people cheering, we stood up, grinning, went to the screen, some guy from the ministry gave us a certificate and a check, yay! 800€ (about 1065$ for those who don't know), some press guy made a photo. We went back to our seats, the moderator said something, "Photo for magazine, blabla, rubbish, rubbish", then all groups from Munich and the region around it, including us, went back to the screen, posing for the camera. Cut, we can go now, well, in the main hall we got some noodles, chili, bread, some drinks, talked to other teams, we discussed about blender and our game with the guy who won 1st place 3D, explained some guy from LAG how UDK works and if it was good for use in schools (of course yes *twinker*). Then we got some gummy bears, then we went back to the train station, drove back home. So, this is it, any questions? It was pretty interesting to see how people react on our game who don't know anything about game development. PS: Remember, we are still seeking people for our new project, Silhouity. 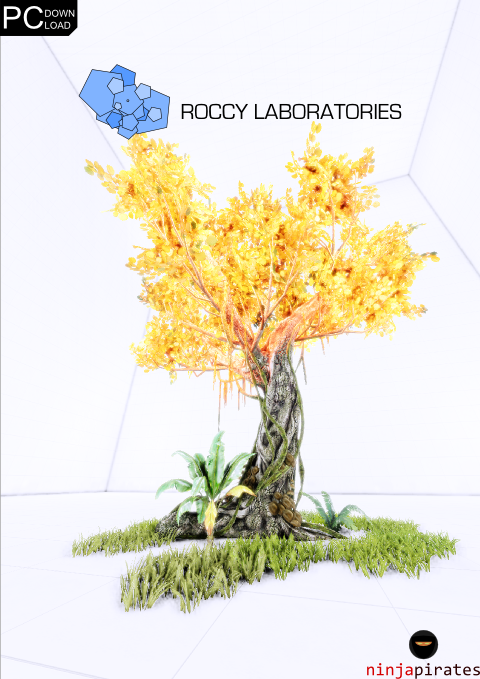 Take a look at our new project, Silhouity, the (inofficial) sequel to Roccy Laboratories. We are nominated for one of the first three places of 2010's Crossmedia Contest! Oh, it has been released. Good job guys. No, the puzzles are even harder than Portals. We've decided to work with Blender and it functioned. But then it was almost too late and only some of all models could still be used in the game. The backstory had me thinking the same thing. I hope the dev teams pulls off a good game. Downloading the closed beta now! Will send feedback to you devs later. Definetley tracking, don't know much about the mod but the trailer showed me some great graphics and nice music. So... it uses the SDK only or it also needs UT3? This is made with UDK (Unreal Development Kit) so you don't need UT3. Our game is standalone.